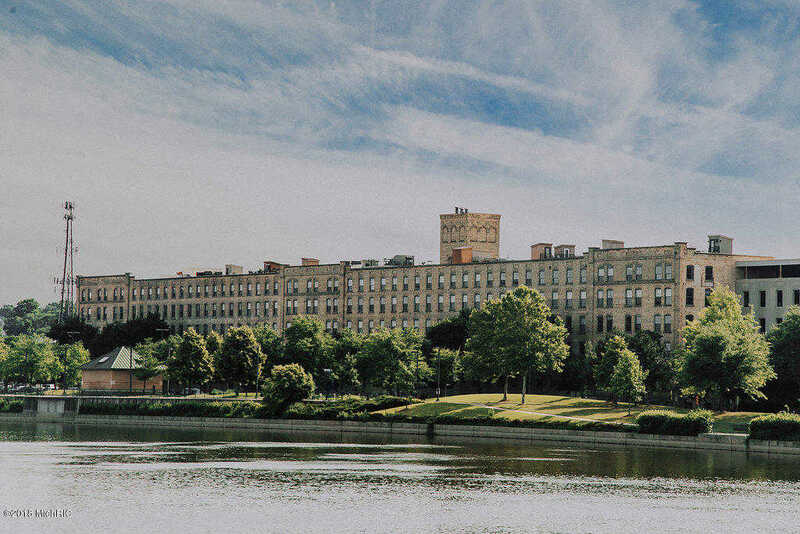 Boardwalk is an award winning historic 400,000 square foot furniture factory converted into 242 loft condominiums in downtown Grand Rapids with an on-site restaurant, bar, fitness center, pool, hot tub, roof top deck, hair salon, law, health & other professional offices. This river view condominium offers exposed brick walls, wood-beamed ceilings, fresh paint, new flooring, new trim, island kitchen with new cabinetry and stainless steel appliances, quartz counter tops, dining area, large bathroom with new cabinetry and two beds with river views. Furnace and AC were recently replaced. One covered parking space is included. Additional covered parking is available for $100 per month and outside spaces are $50 per month. Onsite storage is available for rent. Directions: North of the Historic 6th Street Bridge across from Canal Park on the Grand River.